Julia is the queen that we all miss! When it comes to naming the most versatile actresses of this generation, her name is definitely one that comes to mind. Julia Montes earned several prestigious awards with her iconic roles both for TV and movies. Trained by excellent filmmakers since her "Mara Clara" days, Julia definitely earned her title as the Daytime Drama Queen. Here we look back on Julia's most renowned roles as an actress through the years. One of the best things that happened on TV in 2010 was the remake of Judy Ann Santos and Gladys Reyes' hit drama series "Mara Clara" starring Julia as Clara opposite Kathryn Bernardo as Mara, the tandem that brought teen-oriented dramas to the centerfold. Julia's debut film also features her topnotch acting with her "Mara Clara" co-star Kathryn Bernardo. As Katerina Alcantara, then 17-year-old Julia raked the Princess of Philippine Television title at the Box Office Entertainment Awards. Julia topbilled the romance-drama alongside Coco Martin. She earned a Best Actress nomination at the FAMAS Awards for her dramatic portrayal. Julia's period drama earned her the Gawad Tanglaw Award for Best Actress and a nomination at the PMPC Star Awards for Best Drama Supporting Actress. Playing a dual role that earned praise from critics, Julia hit her second Gawad Tanglaw Award for Best Actress as Kara and Sarah. Her co-stars included Carmina Villaroel, Mylene Dizon, Ariel Rivera, and Sam Milby. Opposite Gerald Anderson, Julia's performance in the romantic horror and psychological thriller film scored her a nomination for Best Performance at the Young Critics Circle. 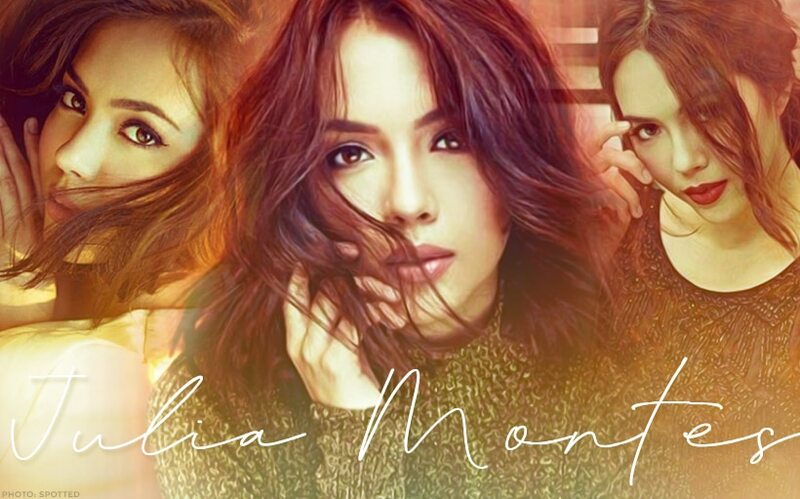 Following her outstanding performance in "Doble Kara", Julia once again reigned in the daytime block when she played the role of Ana Dimasalang in "Asintado". She was joined by some of ABS-CBN's top actors such as Lorna Tolentino, Agot Isidro, Shaina Magdayao, Paulo Avelino, Cherry Pie Picache, and Aljur Abrenica. What other roles would you like Julia to play? Tell us in the comments below! We're definitely hoping for her comeback this year! Albie Casino, napahiya kay Julia Montes?! Julia Montes, may natupad na namang pangarap! Ano ito? #FlashbackFriday: Find your 'Way Back Home' with Kathryn and Julia! 'To more memories together:' Sinong lalaki ang sinabihan nito ni Julia Montes?